Share the post "Treasury Management"
Treasury management is a set of strategies for the management of financial resources, in a profitability goal. It may also be called “Cash Management”. Corporate cash management has undergone many changes over the years. Historically linked to accounting, she gradually conquered its autonomy. She has continued to grow, evolve and gain authority, although it usually remains the preserve of large organizations that use dedicated cash management software, such as CashValue. 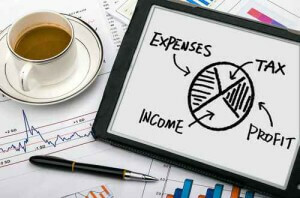 Whether because of new laws, accounting standards, agreements (Basel II, Basel III), to changes in techniques and technology, complexity of financial markets, etc., cash management is constantly changing. The treasurer has to adapt or is bound to disappear. Finally, cash management is now generally requiring centralized management of loans and loans to subsidiaries. The treasurer wants “zero cash”: no overdraft and no surplus in each of its accounts. Everything starts with the balancing transfers to move money from surplus accounts to deficit accounts. Balancing transfers are made daily. This action avoids the error of being overdrawn on an account and having money on an other account, which is the most expensive mistake but also the easiest to manage. These transfers can be made manually: the Treasurer enters his transfers one by one into its commercial tool, which then transmits the orders through a bank communication platform, like CashCom. They can also be made via a cash pooling left management to banks or, conversely, manually by the Treasurer. In the first case, the contract with the bank or banks is to define a pivot account and the secondary account to be leveled to or coming from the related pivot account. Usually banks offer a ZBA (“Zero Balancing Account“) that resets all secondary accounts at the end of each day. If these side accounts belong to different entities, banks may propose the holding of the scale of interest on current accounts. In the second case, the treasurer keeps the hand and makes his transfers through a tool that levels the accounts automatically. Furthermore the treasurer of a large group can be in charge of bills netting. Also called clearing system, the netting is to compensate for intra group invoices and credit notes to reduce bank flows. Pushed to the extreme, it can lead to a system of accounting entries only fueling the current accounts of subsidiaries. The balances being now optimized thanks to transfers, the treasurer can then fund its prospective cash deficits or post surpluses. Unlike medium and long term loans, cash loans and short term loans are intended to cover existing gaps mainly between expenditures and revenues. They usually reimburse at once. The most commonly encountered are ST credits. The overdraft is an authorization for the bank to its customer to be a debtor. The overdraft is repaid by a cash return. This is usually the most costly in terms of rates but also the most flexible credit. More specific and short durations, overdraft facilities are cheaper than overdraft. However it will become credit after a number of days. To be eligible for financing type “discount”, a contract with the bank to be signed. This technique can give his bank a negotiable instrument held in the portfolio. Treating a trade bill thus follows a rigorous formalism making it both a classic payment instrument but also an instrument of credit through the discounting process. Generally dedicated to SMEs, this mode is less and less used. The use of factoring is relevant to organizations that deal with long payment periods and systematic clients, thereby generating a substantial portfolio of receivables weighing on their cash flow. Very close to the Dailly law, its terms are strictly determined by a contract. Factoring allows an organization to get cash immediately after invoicing to customers. There are 3 main procedures to place the best cash surpluses of the organization over a short period. This type of investment is defined as the company’s commitment to allow a blocked sum on deposit in a bank account called time desposit account, in exchange for a fixed term of a rate of pay that is based on a rate fixed in advance, on the duration of the investment and on the amount chosen. However, term accounts seem unattractive because even if they are very safe, invested capital is inalienable, they are illiquid. Unlike the time desposit account, collective investment in transferable securities (UCITS) are highly liquid securities-based investments that can be traded at any time if the investor wishes lender recover invested funds. Marketable debt securities (MDS) are securities issued at the option of the issuer, traded on a regulated market or over the counter, which stand for a liability of a fixed-term (the debt is often used in case of loan, more rarely for a sale). The negotiable debt securities belongs to the shareholder: they are dematerialized and entered into account by an authorized intermediary. Cash management has evolved tremendously over recent years: the function has achieved recognition by participating fully, when it was well controlled, to the result of clearance for the company, a source of improved profitability. A new issue appeared with the financial crisis of 2007-2008. The crisis was diffused by securitization mechanism that injected risk into investment products used by corporate treasurers. Operational risk management is therefore increasingly important in corporate cash. Because of their strong connections with the money and capital markets, corporate treasuries suffer more and more risks that are not generated by their own strategies. Tighter control standards set for banks under Basel III could, at least in part, be extended to treasurers.